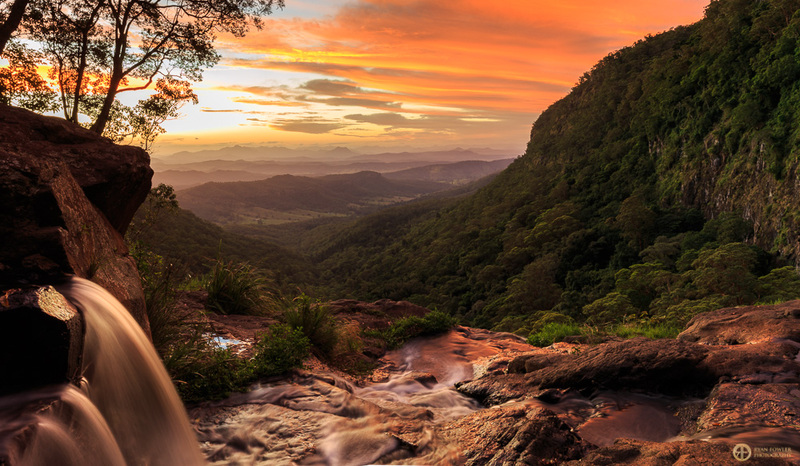 Moran Falls in the Lamington National Park is a fantastic waterfall to see during the day but even better to stand on top of for sunset. Creating this image took about a year. My first vision of this image felt so inspiring I wanted to go and capture it straight away; however, the conditions just weren’t right. After my first failed attempt 6 months in, I knew I’d have to go back. Luckily, the conditions lined up and I had enough time to go up the mountain and photograph the scene. I also had enough time to create a BEHIND-THE-IMAGE video too, check it out below.